Following are the basic details for PFTS future teacher training programs. 7 Day Teacher Training: August 19-26, 2019, in Iceland. Please email Aviva if interested. Attending a workshop is required for consideration for the PFTS Teacher Training. PFTS Training is now 7 days (previously training was 1 year). We are now able to complete Training in 7 days because of my greater teaching skill, the careful selection of advanced candidates, giving previous assignments plus teaching your own practice group before Training. Training will begin before dinner on a Monday evening and ends after lunch on following Monday afternoon. 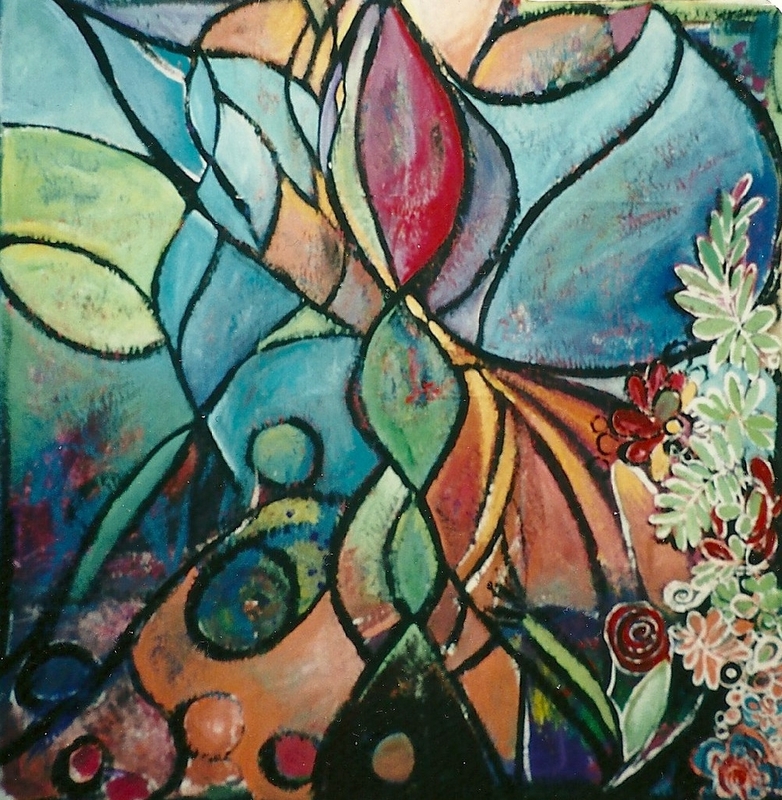 After the successful completion of the 7 day Teacher Training you will receive a Painting From the Source® “Certificate of Completion" which does not legally entitle you to call yourself a Painting From the Source Practitioner or to use the PFTS name or logo for your flyers, website or advertisements. But you may add "Completion of 7 DAY PFTS Teacher Training with Aviva Gold" to your resume, Bio., and advertising… and display the certificate in your studio. You create a name for your own workshop or you can use the name “Source Painting.” In the near future we hope to offer a few people who are actively teaching an advanced Train the teacher Training, allowing them to officially use the Painting From The Source title. Emphasis will be on deepening your own painting and personal spiritual process with in depth study of Aviva’s book and PFTS Training Manual (which gives all instructions and aids to teach). There is also an emphasis on tailoring the Training to your individual needs. The part of the process where we embody and express our painting through voice, theater, movement and poetry (using Gestalt Techniques), which is unique to Aviva’s work, will be practiced and taught in depth. You will also be taught how to maintain the essential “safe container” from which the transformative work is born. Before the 7 Day Teacher Training, there will be reading (from a variety of suggested books that support the process), painting assignments, and for those wanting it, support sessions on telephone or Skype (for international students) available at a minimal additional cost. You will also be asked to conduct a small practice workshop in your home town before the Training. Those in mental health or healing arts occupations and/or working with various populations like children, prisoners, terminally ill, or yoga students, will gain the necessary process painting skills and experience to incorporate the PFTS painting process into your work with any population. The basic skills and information will also be available for those desiring and ready to offer their own process painting workshops. Trusting your intuition for problem solving and guidance. Learning how to access and use creative techniques and dreams for relaxation, guidance, and wisdom. Learning group processing techniques to build a safe productive community in the workshops that you will teach. Overcoming shyness and in general ask for and get what you need in work and personal life. Unblocking creative flow, enabling more spontaneity, fun, sensitivity and access to experiencing and expressing emotions (connection with body). Creating art that emanates authenticity and soul beauty from which you will gain a sense of accomplishment, self worth and empowerment that spills over into all experiences of life. Riding out fear of the unknown and trusting the process through which core beliefs such as "the universe is basically hostile" are replaced by "the universe is basically supportive". Learning techniques and new paradigms for re-framing and accepting previously. Perceived negative/detrimental situations and character traits, thus enhancing self-image, health, intimacy and well-being. Learning effective teaching techniques to open free flow of creativity and health for children, students and clients of all ages. The full price of tuition is $2,450 US currency! The price includes, Teacher Training Manual in digital format, Teacher Training DVD, individual interview, supervision and coaching in months leading up to the Training, and more. Pay $500 to hold your place and pay the rest in installments before Teacher Training begins. The fee does not include reasonably priced lodging and materials. Click here to view fees and more details. To be considered into the program, candidates must attend a recent workshop and Aviva clearly remember your process. If not remembered or not considered ready, you may need to attend an additional workshop before consideration. Other requirements include: Completion of application, completion of Aviva's book, financial ability to pay fee, above age 30, have working e-mail that is checked at least a few times a week, no active addictions (includes addiction to nicotine). As mentioned in the Training Information above, there are 2 work partial scholarships available. These are offered to people not only in financial need, but also people who demonstrate ability to be good assistants. Geographic proximity is also a consideration. I can very effectively offer a safe container for each trainee's individual leadership and teaching style to emerge. Trainees can go deeper into their painting process than previously thought possible. No matter how gifted, charismatic, knowledgeable the trainee maybe, if she is fearful of publicly teaching, resistant to charge money, I cannot teach courage and motivation to lead her own workshop. Sometimes it is the support of the group (and personal therapy) that melts the fear. Probably the most impressive, profound, constant and unexpected result is the "friends for life" tribal community bond that forms within each group. Rooted in love and mutual support, this bond sprouts a growth spiral, flowering into our best self. I can only guess that painting, learning, doing sacred rituals, honest sharing of deep self, in a group, over an extended amount of time, is a chemical recipe for growth, a yeast for personal empowerment.